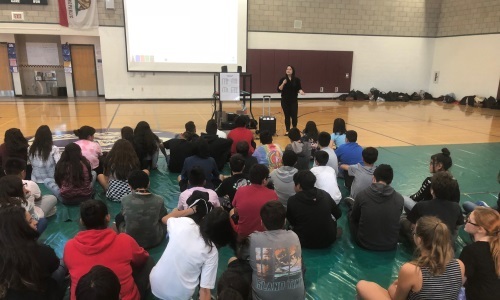 Today we presented six 60 minute presentations to students Woodcrest Junior High school. 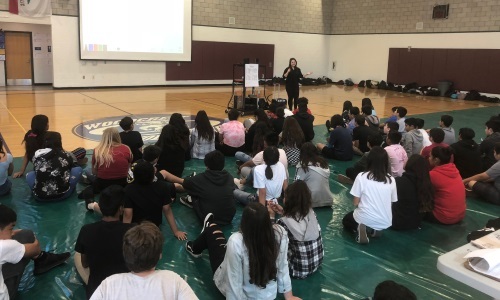 The presentations were conducted through their physical education classes where we discussed the dangers associated with tobacco, e cigarettes and vaping and the impact it has on our bodies and minds. 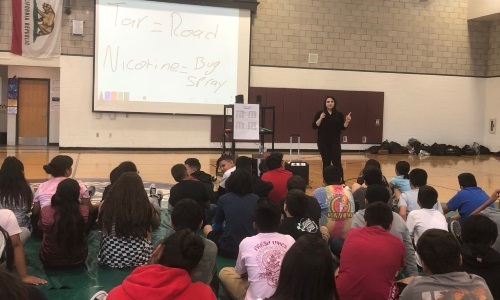 My presentations included “Clearing the Air” where students asked questions about vaping and hopefully carry the message to their peers.